A woman who contributed to solving the Enigma code has celebrated her 100th birthday. 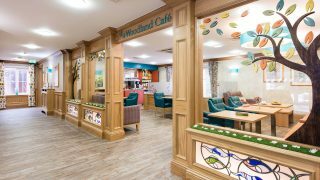 Ann Bayley, a resident at Maycroft Manor, our care home in Brighton has been awarded four medals for her service including the Bletchley Park Commemorative Badge. 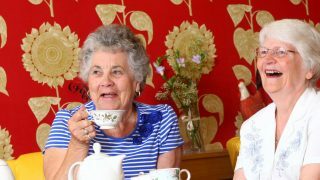 Ann who served as a Women’s Royal Air Force (WRAF) Officer in WW2, spent her special day with her daughters, Tina and Nick sister, Helen great-grandchild, friends and Her Majesty’s Lord-Lieutenant for East Sussex, Peter Field. She was born on September 3rd 1917 in Coonoor, India where her late father’s trading company was based at the time. 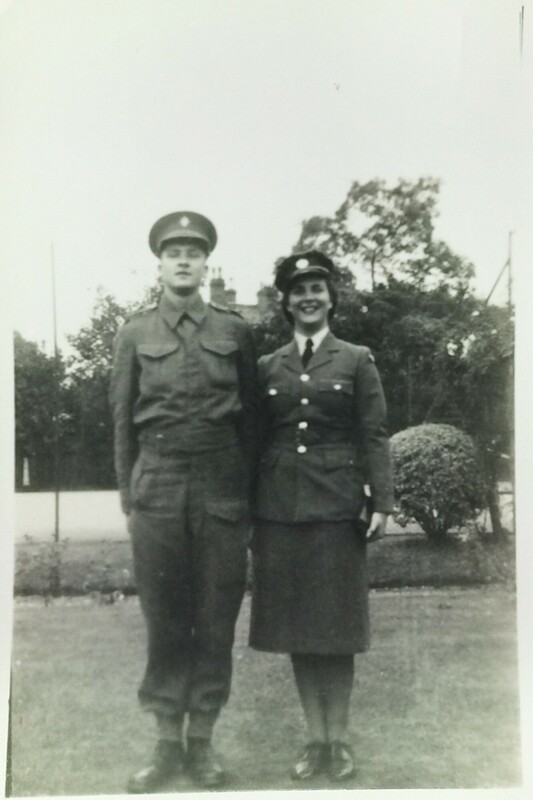 She spent most of her childhood living there and Sri Lanka until she joined the war effort in 1939 and was sent Bletchley Park’s outstation in Cairo, Egypt. There she was co-opted on to the top secret Ultra project, which was created to crack the enigma code. Thanks to the team’s ground-breaking work British forces were finally able to decipher German messages and hasten the end of the war. 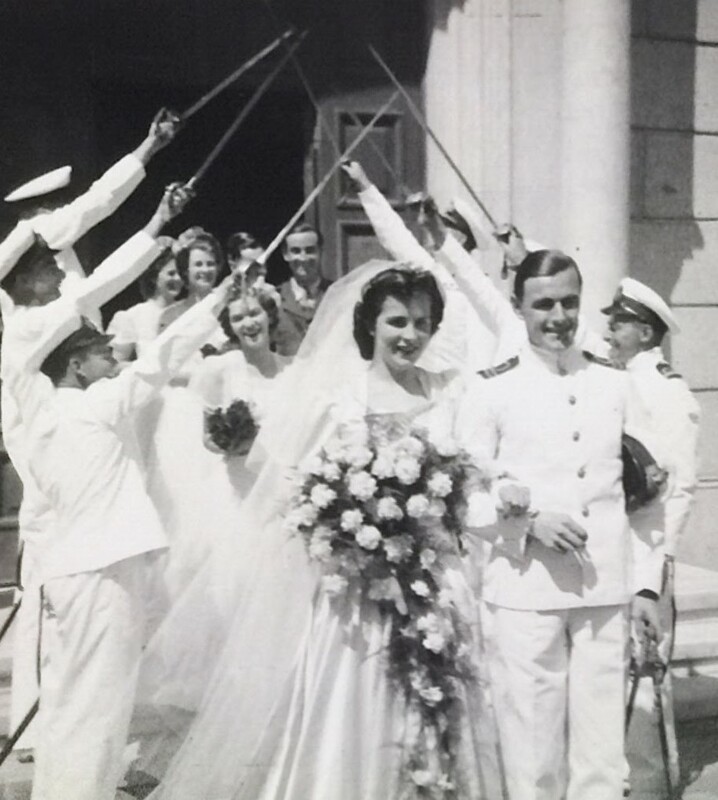 In 1943, she met her late husband Bill in the naval offices in Cairo. They married within the year. Ann, who has two daughters, five grandchildren, one great-grandchild and another on the way, received a card from the Queen congratulating her on her milestone. Mrs Bayley’s grandson William Scrase-Dickins who co-owns Coolhurst Vineyards near Horsham made a special toast at a party in her honour. 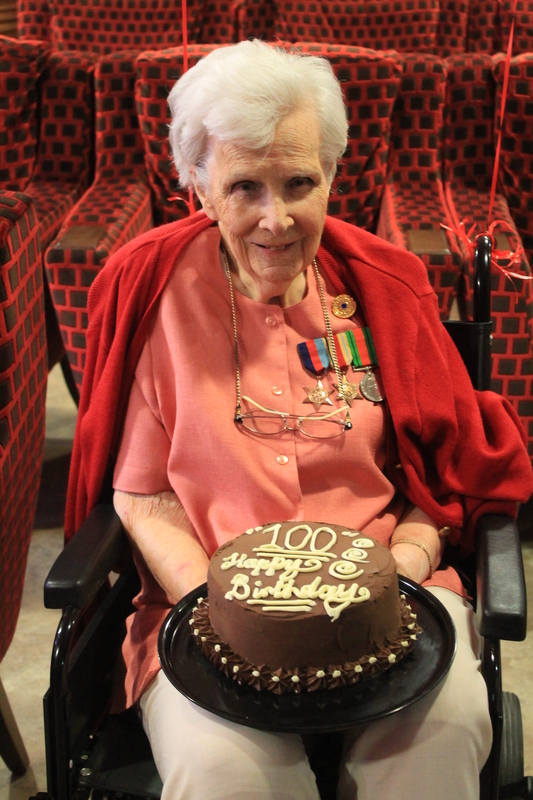 Ann said: “I don’t feel 100, I feel about 60 and it feels very strange to be 100 years old. “I don’t have a secret to longevity, but my family say I eat a lot of chocolate! Ann and her husband, Bill on their wedding day.